Family law is an area concerned with a wide range of legal issues involving a family. This may include everything from divorce, separation and adoption to property ownership, child support and custody rights. Encompassing several legal matters related to family relationships, family law seeks to protect rights of vulnerable members. Family law is a complex matter and can be difficult to uphold without professional intervention, as it affects live not only of adults but also of children who are innocent bystanders in most situations. Going through relationship breakdowns can be financially and emotionally draining for people, which is why it is important to have good legal support. Consulting experienced family lawyers can help you better understand and protect your rights. 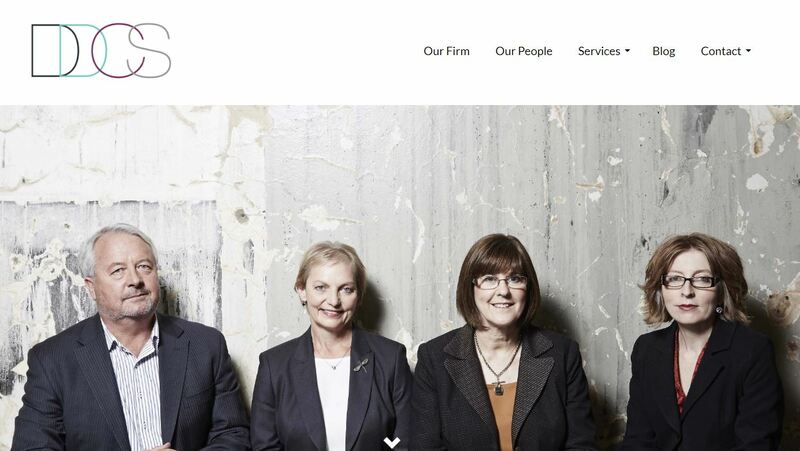 Here are some of the best family lawyers in Canberra. Who are the best family lawyers in Canberra? Specialising in all aspects of family law, business succession, wills and estates, DDCS Lawyers was established in 2007 and has since then built a strong reputation for itself in the Canberra family law field. The team at DDCS Lawyers comprises 13 experienced lawyers with five accredited specialists in family law and the only estates and wills accredited expert in Canberra and surrounding regions. DDCS Lawyers offers sound legal advice in the Canberra region, and has represented thousands of clients over a range of family law matters. The DDCS Lawyers team understands the financial and emotional stress of dealing with family law matters and offers a mix of professional expertise and personal compassion to help clients go through complex legal processes as seamlessly as possible. Covering the areas of divorce, property settlement, binding financial agreements, spouse payments, de facto relationships and family violence, DDCS Lawyers offers a wide range of services under family law. Whether parents are looking to fight for custody of their kids, fight relocation of children or seek adequate child support, the team helps to ensure that the best interests of children are well protected amidst family disputes. DDCS Lawyers was recognised by its peers in 2016 for its family law expertise when it was the only law firm in Canberra to be named in the list of leading family and divorce lawyers in Australia by Doyle. The partners Julie Dobinson, Lois Clifford, Phil Davey and Di Simpson regularly rank high as leading Canberra family lawyers. Two of the firm’s nationally accredited mediators are registered with AIFLAM, which is the Australian Institute of Family Law Arbitrators and Mediators. Some of their experts are qualified in collaborative divorce and have been appointed as independent children’s lawyers. All the lawyers serve regularly on boards and committees, as well as volunteering within the legal community. DDCS recognises the diversity of family law issues and the unique challenges that come with them. This is why the firm is committed to offering personalised service and not a one size fits all solution. The team at DDCS Lawyers has a breadth of experience in the family law department offering diversity and expertise across a multitude of areas, allowing them to navigate complex legal issues to reach optimal results for every client. 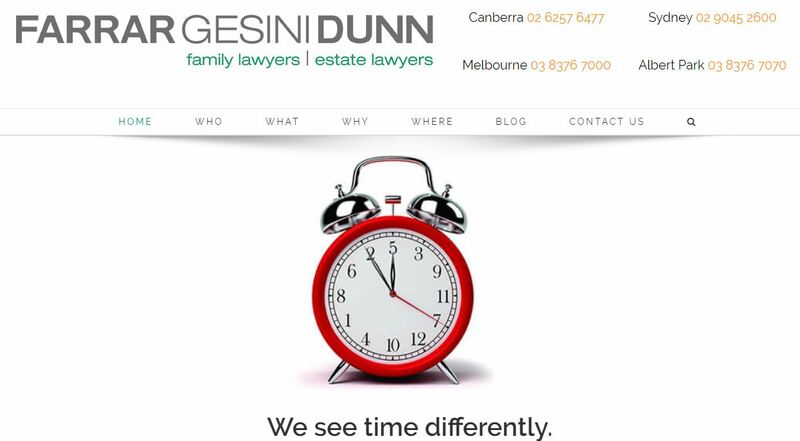 Operating for over 20 years, Farrar Gesini Dunn has offices located in Canberra, Melbourne, Albert Park and Sydney with a wide range of expertise in family law, estate, wills, domestic violence, superannuation and much more. All the family lawyers at Farrar Gesini Dunn have particular areas of specialization which enables clients to draw from varied levels of experience and advice for a range of matters related to family legal issues. Approaching legal issues with an understanding attitude, the lawyers at Farrar Gesini Dunn seek to combine their professional experience with compassion to deliver results for clients at every step of the way. Specialising in family law, the team focuses strongly on client collaboration and tailor their services to suit the individual needs of every client so that there is no one size fits all policy. The team understands that separation and divorce can be extremely difficult, especially when it comes to taking care of children and dividing property. No matter if the issue is child support or spousal support and maintenance; they try to make the experience less stressful by offering honest and rational advice for an optimal outcome. The family and child specialists from Farrar Gesini Dunn are professionally trained to support families going through difficult times and they offer this service to all their clients. The specialists guide clients through separation and other challenges, as well as providing legal support. Complimentary counselling and support for matters related to family, estate planning and estate disputes are also offered to clients. Focused on treating clients as individuals, the team tailors its services to ensure that everyone is comfortable at all times. The team is committed to delivering meaningful results but also works to offer genuine advice that helps clients come to terms with their individual situations. The services offered by the Farrar Gesini Dunn lawyers include domestic violence, divorce, child custody, child support, maintenance, spousal support, de facto relationships, property settlements, asset protection, annulments, parental responsibilities, adoption, surrogacy, child support agreements and other family law issues. Where possible, the lawyers seek to resolve legal matters through mediation and always try to avoid expensive court proceedings. Their primary aim is to achieve mutually desirable outcomes for all parties involved. In other situations, the lawyers are familiar with court proceedings to advocate for clients at every step of process. The team is experienced with negotiations, accommodating different personalities and relationships with ease. This helps them to create scenarios that are best for entire families. The priority at Farrar Gesini Dunn is to support clients through family matters in a stress-free and seamless manner. An age-old law firm, Baker Deane & Nutt has been providing legal services to Canberra and the surrounding ACT regions since 1861. The firm’s 150 years of providing legal advice is formidable, which is why it is well regarded as a leading family law firm in the region. Baker Deane & Nutt, as it is today, is based on the joining of two law firms in the early 20th century. Deane & Deane was the first firm, which practiced law in the early 1850s in Sydney. The second was started by Joe Scrivener in Queanbeyan in 1861. Both firms came together in 1923 when the Queanbeyan practice was purchased by Deane & Deane during their relocation to the local region. While the name of the firm has undergone several variations over the years, the philosophy of the practice has always remained constant. Understanding the sensitivities of family law issues, Baker Deane & Nutt seeks to combine a sensible, professional and compassionate approach for all clients. This careful approach is used when discussing and recommending solutions for their client’s individual circumstances. Since many matters related to family law are usually resolved without the need to go to court, the team at Baker Deane & Nutt seeks to ensure that all clients achieve optimal outcomes without court-related expenses – unless absolutely necessary. The ultimate goal of the firm is to reduce the financial and emotional stress for its clients, while providing expert advice and representation in all matters related to family law – both in and out of court. The experienced lawyers at Baker Deane & Nutt have provided family law services to clients in Canberra and surrounding regions for several decades and cover a multitude of areas such as child support, separation, divorce, child custody, property disputes, financial issues, adoptions, spousal payments, de facto relationships and much more. The team seeks to tailor all services to suit the individual needs of every client by providing sensible and professional advice for the least amount stress and financial risk. Boasting 11 experienced lawyers, each of whom have a focus in different areas, Baker Deane & Nutt is regularly sought after by everyday people for various legal matters. Most of the firm’s practitioners have a great deal experience in multiple legal areas. The partners and solicitors from Baker Deane & Nutt also give back to the community by doing volunteering work at several functions throughout the ACT. A partnership formed by Ken Johnston and Allan Bedford, Ken Johnston Bedford & Co came into existence in Woden in January 1981 to provide quality legal services to clients at affordable prices. Now known as KJB Law, the organisation is well regarded as being both strong and progressive in several legal areas, including family law. Since its humble beginnings, the firm has expanded over the years to cater to a growing demand from more and more clients. The growing client base has resulted from the sound legal services offered by KJB lawyers over the years, all of whom are committed to staying abreast of changing legislation and law practice developments. The company also organizes periodic training programs for staff, so that they can keep up with changing legislation and technology to support their continued expansion. Offering services to Woden, Canberra and the larger ACT region, KJB Law enjoys a well-earned reputation for successfully defending clients in a range of family issues over the years. KJB Law seeks to provide comprehensive advice and guidance in all issues related to divorce, separation, property division, child support, child custody, spousal support, will amendments and much more. Understanding that people going through these issues may not know how to address them, the lawyers at KJB Law attempt to paint a realistic picture to help clients better prepare for an optimal outcome based on their individual circumstances. KJB Law offers new clients a free consultation for a half hour with a specialist lawyer in Canberra where the situation will be discussed and assessed. This is a no-obligation consultation where clients can decide whether to engage the services of a KJB Lawyer or not. 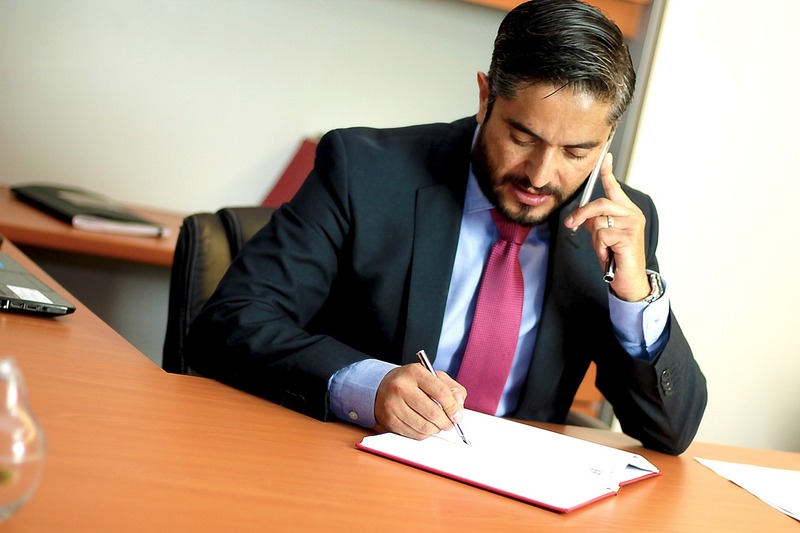 This confidential consultation can either be conducted in person or via telephone – whichever suits clients the most. This initial conversation provides prospective clients with a much greater understanding of their specific situation. Seeking to achieve an optimal outcome every time, the team at KJB Law always tries to resolve matters through mediation. This approach is taken so as to spare clients the complexities, emotional burdens and expenses of going to court. KJB Law looks to offer optimal solutions either through expert advice or through representation when it comes to a range of issues related to family law. Every lawyer has experience and is well respected within the community. The family lawyers at KJB Law are specialists in a varied number of fields and can help clients achieve their desired results in an affordable manner. Many of the lawyers also do volunteer work at events to help the community. From property division to will adjustments and much more, KJB Law helps clients make complex family situations run as smoothly as possible for in order to achieve a just outcome. Armstrong Legal was founded in 2002 and specialises in family law and personal legal services. They also offer criminal and traffic law matters to clients in Canberra and surrounding regions. The team at Armstrong Legal is committed to offering personalised services with a focus on respect, compassion and acceptance when guiding clients through complex family legal matters. Focusing on honesty and openness at every step of the process, Armstrong lawyers seek to put the best interests of their clients ahead of their own financial motives. From the outset, the experts explain the realistic expectations and financial implications to ensure that clients know exactly what they are investing in. With a team of over 30 solicitors, including accredited specialists in different practice areas, the solicitors at Armstrong Legal offer a diverse portfolio of experience. They carefully prepare for your matter both in and out of court while offering expert guidance to ensure a favorable outcome is achieved. Every solicitor works in a specific practice area, meaning that clients can be confident they are getting specialised advice and advocacy for their legal issue. Experiencing rapid growth since its inception, the firm has grown to incorporate criminal and family law practices through its offices in Canberra, Melbourne, Sydney and Brisbane. The firm has implemented a management system in compliance with the Legal Best Practice LAW 9000 standards that is also certified through SAI Global. With an excellent track record, the specialist family lawyers at Armstrong Legal offer a range of services including child support, child custody, domestic violence, de facto relationships, divorce, annulment, separation, property settlement, spousal maintenance and much more. Since not all matters go to court, the experts at Armstrong Legal are trained to navigate through the process mediation to try and attain optimal outcomes for every client. This is true for every legal matter from child custody to spousal support. From time to time, the firm undertakes pro bono work for charitable organisations as part of their service to the community. Each family law expert is approachable and highly experienced when it comes to a range of matters, which enables clients to rest easy knowing their case is in capable hands. Armstrong is founded on the principles of compassion and integrity, which is why it is rated so highly with many clients in the ACT region. Its personalised approach and tailored services have worked to make it a popular family law firm. People with family legal issues can informally chat with the Armstrong Legal experts about their situation and will receive a no obligation recommendation on next steps without having to incur any consultation fees. Which family law firm will you consider using? People needing professional family lawyers will ideally want an honest and open appraisal of their situation, especially with the number of people that could be impacted in the long run. Family law issues can be complex and get out of control very quickly which is why it is important to talk to a professional lawyer to achieve the most favorable outcome for everyone involved. Professional family lawyers in Canberra can assess every legal aspect of your situation. Ideally, they are able to develop an actionable plan to help the family navigate a settlement in or out of court. The information included in this article is a private opinion and it shouldn’t be considered as advice and does not take into account your personal or business situation.